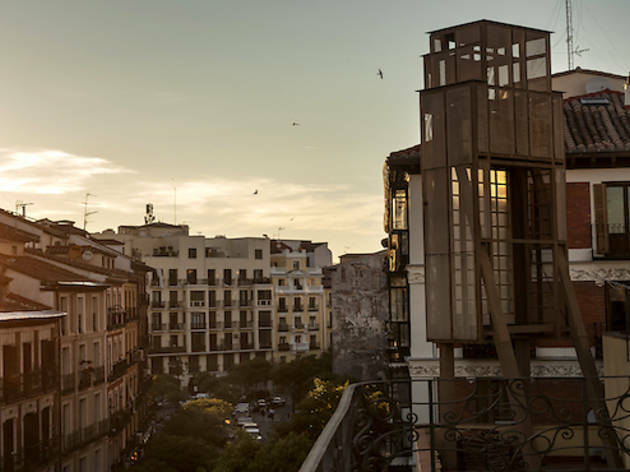 Embajadores in Madrid was today revealed as the world’s coolest neighbourhood right now. It is followed by Euljiro (Seoul), Nueva Villa de Aburrá (Medellín), Metaxourgeio (Athens) and Princípe Real (Lisbon) which top the list of the 50 best neighbourhoods according to timeout.com, the global media and entertainment brand that inspires people to make the most of the city. Madrid’s Embajadores tops the list as the world’s coolest neighbourhood right now with its exciting nightlife and fabulous food, street art and high culture. This is where people from near and far live side by side, cooking up a bustling cultural life. To the north, Plaza Tirso de Molina is home to florists by day, and at night fills with revellers queuing to get into Medias Puri, the city’s club of the moment. 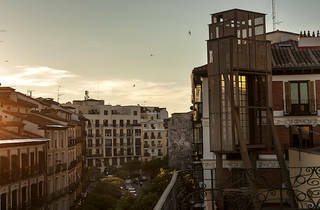 To the south are two huge cultural centres, Tabacalera and La Casa Encendida. In Embajadores, Visitors can dine on divine Moroccan lamb tagine for an absurdly low price or Indian specialities served atop a flowery oilcloth and relax with a cocktail in the legendary Sala Equis, a former adult cinema that is now a drinking hole. When walking through its industrial streets, Seoul’s Euljiro neighbourhood still smells like fresh ink. Made up mostly of printing presses, warehouses and old-school fried chicken eateries, this neighbourhood has become the latest hotbed of hidden bars, restaurants and cafés. At night, printers pore over tomorrow’s papers and trendy kids crawl into seemingly abandoned warehouses. Bedazzled with neon signs and indie-music posters, Seendosi is a bar located on the fifth floor of an apparently derelict warehouse; the prelude to getting here includes walking up four flights of pitch-dark stairs. Medellín’s rockers, punks and metalheads thrive in Nueva Villa de Aburrá where every day La Villa – a horseshoe-shaped plaza – transforms from a stately promenade to a throng of music-loving youth. Over the years, this neighbourhood has established itself as a place that celebrates new traditions – think annual hot sauce and electronic music festivals or the Los Molinos shopping centre, where monthly staged spectacles (dinosaur amusement parks; superhero-themed gladiatorial contests; fairy-tale swan rides) add a touch of whimsy to community living. Abandoned for years, the once-grand Metaxourgeio neighbourhood is being revived thanks to a diverse group of artists and activists, encapsulating young Athenians’ creative energy. Crumbling neoclassical buildings have been emblazoned with murals, shabby-looking brothels and neglected houses have given way to bars and tavernas that hum with activity until the early hours. There are exhibitions, film screenings, workshops, parties and one highlight is LaTraac – an adults-only skate bowl that transforms into one of the city’s coolest hangouts come nightfall thanks to an outdoor bar and regular DJs. There are not only amazing restaurants from tapas to ceviche, cool bars, stores (one of them, Vintage Department, has a stuffed polar bear greeting customers) and art galleries everywhere in Princípe Real – this neighbourhood is also home to brilliant club nights. Those looking for great cocktails should head to Cinco Lounge to relax on sofas and savour some of the 100 drinks on offer such as Madagascar bourbon with vanilla vodka and fresh pineapple. Every Saturday, an organic fair with little stalls brings a bit of country life to this neighbourhood. The historic cradle of Paris’ Kurdish and Indian communities, Strasbourg-Saint-Denis has a unique style: a brilliantly surreal mess. The trendiest gourmet restaurants rub shoulders with greasy spoon cafés and some of the city’s oldest establishments, like Brasserie Julien, classified as a historical monument. At La Mano club, DJs and live artists swing sounds from salsa to nu-disco, and the crowd is just as eclectic: guys in Supreme, girls in Céline, hip hop royalty and old-school bohemians. Neukölln is a neighbourhood that is constantly reinventing itself and revels in its originality. What was once abandoned is made new, turned from wasteland into the latest smoke-filled bar, vegan café or unmarked gallery – all independently run. On Weserstrasse, bars like TiER and Ä serve art, performance and booze and on Maybachufer, locals laze by the canals and wander the Turkish market. Sundays are best spent drinking and dancing to underground electronic beats at Griessmuehle, a former grain mill boasting dancefloors, makeshift furniture and an amazing garden overlooking the canal. Yanaka is cool, but in an unassuming way and even though it is right next to the busy tourist hub of Ueno, this neighbourhood remains tranquil. Always having captivated visitors with its antique atmosphere, a new creative energy has been breathing new life into its streets and buildings recently, without altering its old-world allure. Some of the city’s best restaurants, artisan workshops and galleries co-exist with magnificent temples and shrines. Modern art gallery Scai The Bathhouse shows cutting-edge exhibitions by local and international artists in an over 200 years old former bath house. Highland Park – LA’s leafy, low-key neighbourhood – has shed its former dive-bar vibe to become a hub of handsome cocktail spots and the city’s most exciting nightlife scene. While York Boulevard has been buzzing with gastropubs for a while now, the recent arrival of vegan cafés, limited-batch dumplings and an order-by-the-ounce pizza shop have turned Figueroa Boulevard into an aspiring dining destination. One culinary highlight is Otoño thanks to chef Teresa Montaño’s fresh take on Spanish tapas, with dishes like tuna and anchovy goat butter and farmers market vegetable paella. Fitzroy turned from a working-class suburb into Melbourne’s artistic haven. This is where Melburnians shop for designer brands and vintage clothes, records and quirky finds. New street art magically appears on walls throughout Fitzroy and Australia’s top chefs, newbies and bartenders open up restaurants, cafés and bars seemingly every week. At the weekend, Rose Street Artists’ Market visitors can browse clothing, jewellery, paintings, sculpture and designs, and meet the people who made them. Over the last few years, Peckham has cemented itself as one of London’s preeminent cultural hotspots. Streets once associated with the sitcom ‘Only Fools and Horses’ are now lined with video arcade bars, cult nightclubs and street food pop-ups. With some of the most reputable arts colleges just a bus ride away, the area has become a breeding ground for south-east London’s creative scene while staying true to its multicultural roots. One of the top places to visit is Peckhamplex which is stuck in the ’90s in a good way with its retro decor: tickets at this multi-screen cinema are a cheap £4.99. With its industrial roots, Noord is decidedly not attracting many of the millions of tourists visiting Amsterdam. Locals are drawn to the area because there is no overcrowding, the rent is relatively affordable and there is a sense of experimentalism. It only takes a free ferry service across the River IJ to be greeted by head-turning landmarks like the futuristic EYE Filmmuseum and A’DAM Tower (where, on the rooftop deck, Europe’s highest swing offers breathtaking city views). Closeby is NDSM Wharf, a former shipyard turned art and culture hub which is home to culinary hotspot PLLEK and hosts Europe’s biggest monthly flea market, IJ-Hallen. Formerly infamous for seedy street scenes, Ancoats has emerged from the ashes of its industrial past to become the hangout of choice for Manchester’s cool kids. Abandoned cotton mills are being transformed into affordable co-working spaces and river-facing apartments. Colourful street murals, craft beers, artisanal bakeries and gin joints add an extra shot of hipster hotness, and the funky Hope Mill Theatre is where local performers come under the spotlight. Caroline McGinn, Global Editor-in-Chief of Time Out, said: “Since it was founded in London in 1968, Time Out's network of local editors and writers has spread to 108 cities and 39 countries. To celebrate Time Out’s 50th anniversary we surveyed our expert local editors from around the world (along with 15,000 locals) to nominate the 50 coolest city neighbourhoods right now.